The 2018 Toyota Yaris is an affordable car that still manages to be sporty in its practicality and attractive in its simplicity. 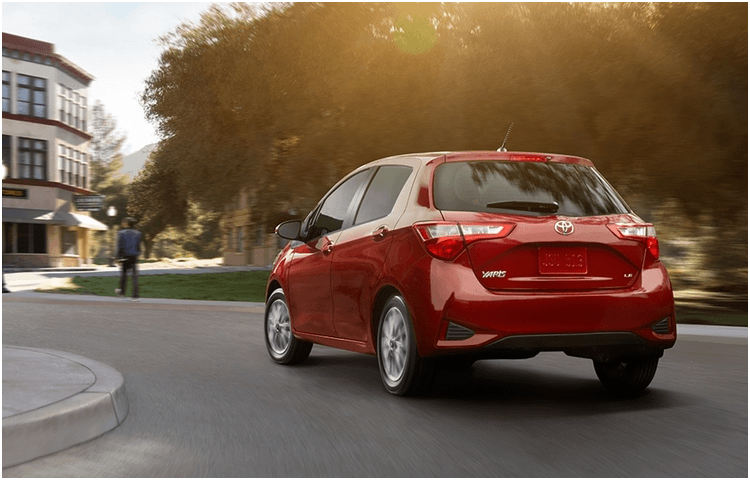 For 2018, Toyota has redesigned the Yaris--and we're proud to carry it here at Titus-Will Toyota! Keep on reading to learn more about the car that gives you so much more for your money; then, head on in for a test drive! 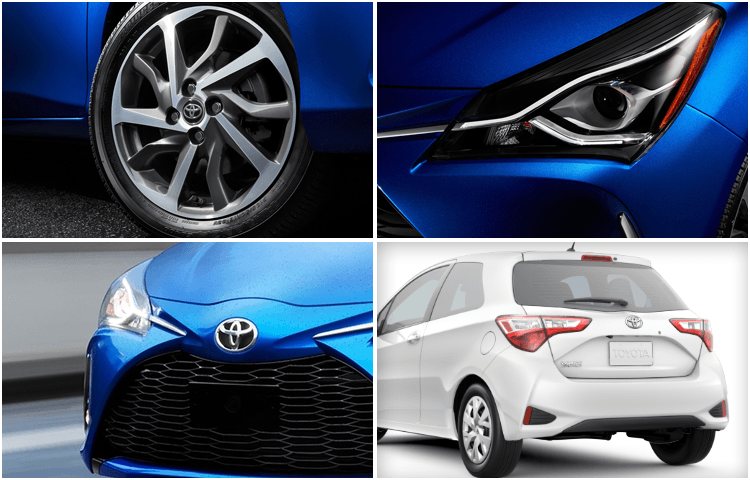 The Yaris is all about giving you options. Not only does it come in three trim levels, but it's also available in two different body styles: 3-door and 5-door. 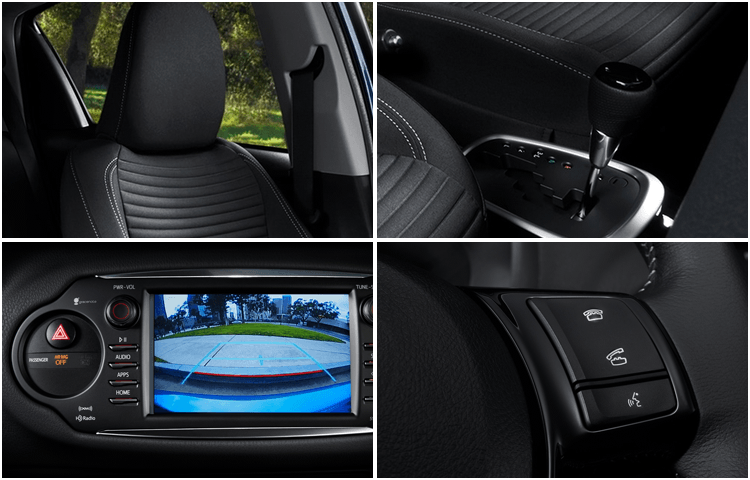 The L trim comes with features like a bold front fascia, 15” styled steel wheels, Entune™ Audio, an integrated backup camera display w/ projected path, and more. Upgrading to the LE will get you features like 15” machined alloy wheels, a remote keyless entry system, and more. With the top-of-the-line SE (which only comes as a 5-door hatch), you'll find integrated fog lights, LED daytime running lights, a rear spoiler, distinctive dark-accented 15” machined alloy wheels, Entune™ Audio Plus, and more. The Yaris may be famous for its low cost, but it certainly hasn't cut any corners--especially when it comes to your safety. Every Yaris comes with both Toyota Safety Sense C (which includes Pre-Collision System, Lane Departure Alert, and Automatic High Beams) and the Star Safety System (which combines Vehicle Stability Control, Traction Control, Anti-lock Brake System, Electronic Brake-force Distribution, Brake Assist, and Smart Stop Technology). Add in features like nine airbags, whiplash-injury-lessening seats, and more, and you'll feel protected whenever you take the wheel of your new Yaris. 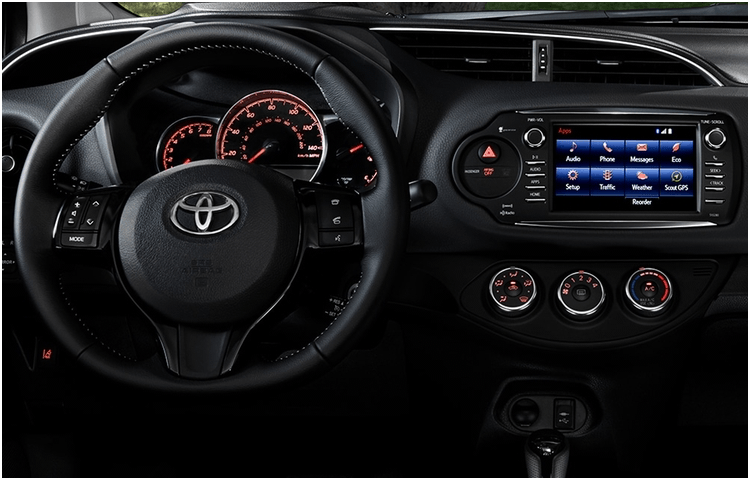 In terms of performance, you can count on the Yaris to get you where you need to go efficiently. Its 1.5-liter 4-cylinder DOHC engine can get up to 36 miles per gallon on the highway, so your tank of gas will last you longer. You can also choose between 5-speed manual transmission and 4-speed electronically controlled automatic transmission with intelligence (ECT-i). To go farther for less, choose the 2018 Yaris at Titus-Will Toyota! * MSRP excludes the Delivery, Processing, and Handling Fee of $885 for Cars (Yaris, Yaris iA, 86, Corolla, Corolla iM, Yaris, Yaris HV, Prius LB, Prius, Prius Prime, Mirai, Yaris, Yaris HV), $960 for Small/Medium Trucks, SUVs and Van (Yaris, RAV4, RAV4 HV, Highlander, Highlander HV, 4Runner, Sienna, Tacoma), $1,195 for Large SUVs (Sequoia, Land Cruiser), and $1,195 for Large Truck (Tundra). (Historically, vehicle manufacturers and distributors have charged a separate fee for processing, handling and delivering vehicles to dealerships. Toyota's charge for these services is called the "Delivery, Processing and Handling Fee" and is based on the value of the processing, handling and delivery services Toyota provides as well as Toyota's overall pricing structure. Toyota may make a profit on the Delivery, Processing and Handling Fee.) Excludes taxes, license, title and available or regionally required equipment. The Delivery, Processing and Handling Fee in AL, AR, FL, GA, LA, MS, NC, OK, SC and TX will be higher. Actual dealer price will vary.